You may receive updates from Women's March National, the sponsor of this petition. The US Open final between Serena Williams and Naomi Ōsaka was an opportunity to celebrate two black women at the top of professional tennis. Instead, the electric and career-defining game was wrested by a man on the sidelines. Umpire Carlos Ramos imposed a series of warnings and penalties on Williams that disrupted the game and eclipsed the victory from ultimate champion Ōsaka. This game was a clear illustration of sexist double standards in tennis. Men are often coached, break rackets, and joust with umpires without consequence. In the era of Time’s Up and #MeToo women are no longer waiting to be believed, but demanding to be recognized within a community of support from other women with shared experiences. 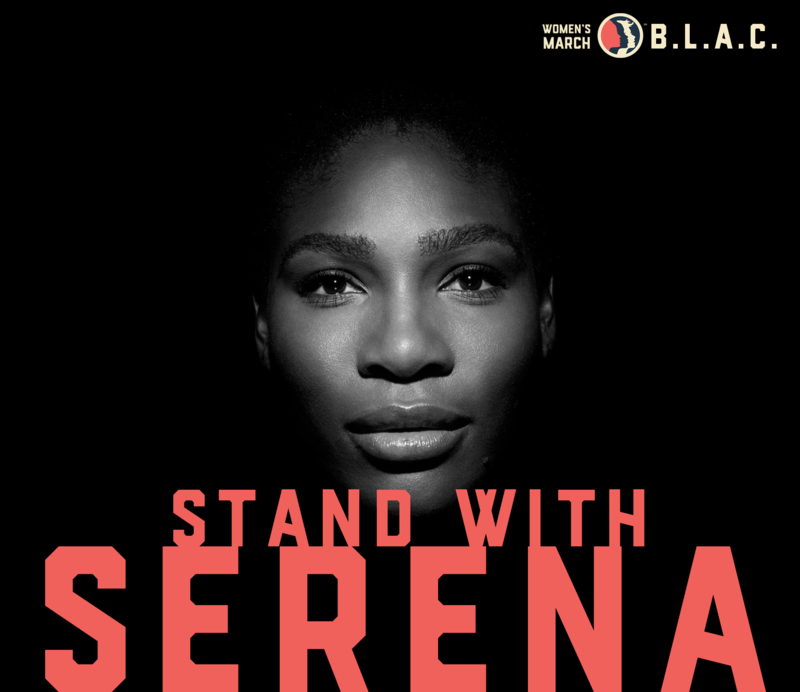 Sign the pledge below and learn more at www.istandwithserena.com. Women’s March Black Leadership Action Coalition (WM-BLAC) compels consistent and strategic action on behalf of black women's dignity throughout the calendar year, while offering leadership, empowerment and support for important issues that directly affect black women.